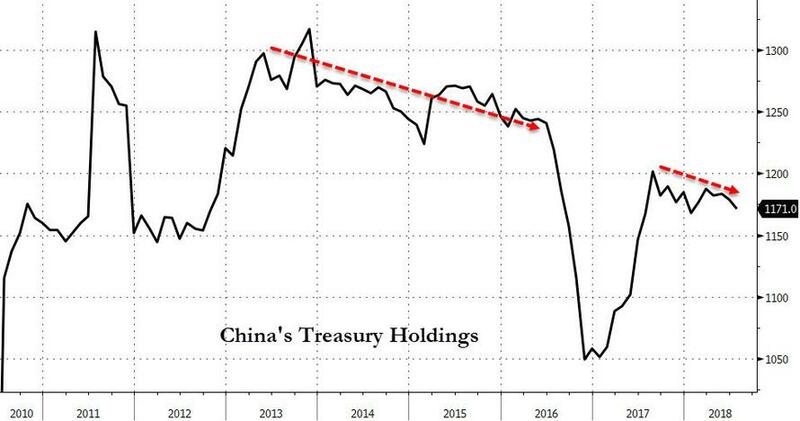 Nine months after initial headlines warned of China reducing its Treasury purchases (sparking a mini-panic), a senior Chinese policy advisor has once again raised the specter of China rotating away from USD in its reserves, and specifically reducing its UST purchases. And now, following last week's ugliness in USTreasury markets (albeit with a bid back this week), Bloomberg reports that Zheng Xinli, senior adviser to policymakers, said in an interview with Market News, that China should look to switch future foreign exchange reserve investments away from U.S. Treasuries and into areas such as high tech research as trade dispute intensifies. Zheng is former deputy-director of Policy Research Office of the CPC Central Committee and frequent participant in drafting annual central government working reports according to MNI. While China turning away from the U.S. bond market would complicate Treasury’s financing needs, Jefferies economists Ward McCarthy and Thomas Simons noted in January, when the last China scare hit, that U.S. statistics suggest “that China has not been a major buyer of Treasuries for a while now." However, this is considered the 'nuclear option' by some, and the recent liquidation of half of Russia's Treasurys was seen by some as a rehearsal for what would happen if Beijing decides to pursue this approach. Some have argued that this should be interpreted as Beijing wanting to send a signal to the US that it is willing to use financial means to respond to any shifts in US policy on issues such as trade. 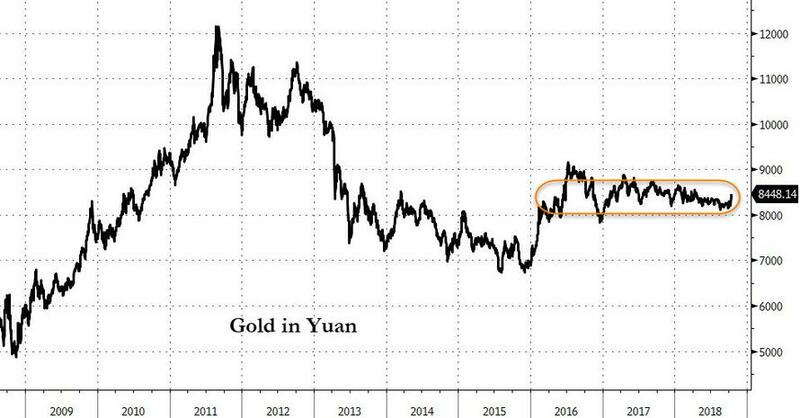 As a reminder, when the same headline hit in January, that "Officials reviewing China’s FX holdings have recommended slowing or halting purchases of US Treasuries, according to people familiar with the matter," Treasury futures puked and gold spiked. Today the reaction so far is extremely muted. 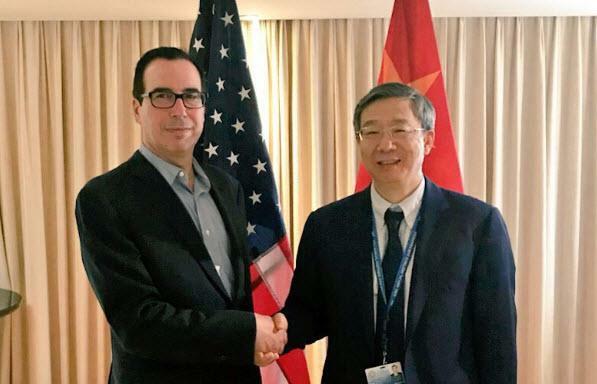 Ironically, minutes after this headline hit, Treasury Secretary Mnuchin was interviewed on CNBC confirming that "there is plenty of demand for US Treasuries," while adding that he remains concerned about China's currency weakness.